Now we’re into the second half of the year, many teams use the summer slow-down to re-plan and structure for the rest of year. By the firms have their mid-year summits and analyst days behind them, and they start to look over their metrics from the first half. As a result, it’s a good time to realign budgets and plans. Often teams use change workshops to work through that, but sometimes they mistakenly ignore the customer (and customers might be clients, internal stakeholders or external observers like analysts). Looking at many of the agendas and methods that folk prepare for changing their organisations, we see that often leaders and corporate sponsors gather to develop the corporate vision, and then team members focus on developing policies, plans for execution and performance management methods to meet those goals. Much of the emphasis is on value realisation, roll-out plans and communicating change. There’s a reason why change workshops look like that: they mimic the generic templates for such events, often drawing on structured systems design approaches like Prince and methods like ITIL. What almost all those approaches have in common is an absence of the customer, either directly (as participants) or indirectly (with research or a survey of customers’ social media comments and other feedback), at the centre of discussion in the workshop. Often, instead of mentioning the customer, many change approaches have ‘the environment’, as if PEST analysis is better than client insight. They seem to have the unspoken assumption that, as Peggy Holman, Tom Devane, and Steven Cady put it in The Change Handbook, people have not been adequately informed about corporate purposes and methods: therefore ‘Tops’ are using it on ‘Bottoms’ to “straighten them out”. Change is seen as a planned and managed process where the necessary change is assumed to be already know, even if the customer is mentioned. It’s very easy to imagine that change is done to the organisation by leaders, independently of the objective world around it. Of course it’s not like that very often: it’s the outside world which produced challenges, and the solutions are crucial where the ‘rubber meets the road’, not just in leadership bodies. Do you want to bring the voice of customer into your planning and change initiatives? What approaches do you use? How can firms like Lighthouse better support that work? Let us know your comments. This entry was posted in Develop AR. Bookmark the permalink. I agree that the customer can provide critical input to designing solutions in a change workshop. I’ve found that they’re most helpful in informing people in the organization about what their definition of quality is, and this, in turn, is valuable in designing products, services, and support mechanisms for customers. And, as you point out, all too often customers are neglected in workshops to bring about organizational change, when, in fact, it’s the customers’ purchases that make employee salaries possible. And as a serious researcher and practitioner of both strategy and large-scale change, I feel compelled to respectfully provide a few of my perspectives regarding your blog. It seems your understanding of “the environment” may differ from others in the change and strategy fields. For many, myself included, “the environment” is what lies beyond the area of the organization (or organizational unit, if that’s the bounded zone for change.) External customers, and even more broadly, other stakeholders such as analysts and regulatory agencies would be included in the environment. And they would be but one part of the overall puzzle that needs to be considered. 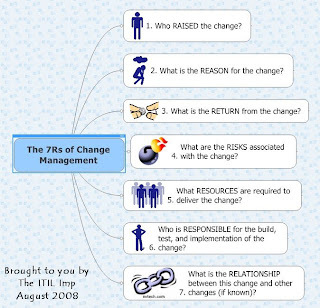 I’m curious about your attributing the characterization in your blog post that “Change is seen as a planned and managed process where the necessary change is assumed to be already know[n]” to the book The Change Handbook. This book is actually a compilation of 61 methods that engage groups to converse, uncover assumptions, debate, and co-plan what the group’s collective future should be. The assumption is that change is emergent, not a known endpoint, and that diverse perspectives are required to develop both an endpoint and approach to get to a better situation. Such collaboration among diverse perspectives produces a more robust solution, as well as a solution that people have energy to implement, because they have helped to create it. And though I’m a big fan of customer input to help define what quality means to customers so it can be designed into products/services, I’m not so sure it’s particularly relevant for innovation, which I believe is as important as design and execution functions for most organizations seeking growth. As Henry Ford once pointed out, “If I had asked people what they wanted, they would have said faster horses.” No one asked Thomas Edison for electricity and a grid system that would power cities. No customer specifically asked Tim Berners-Lee to develop HTML and introduce the www to the public in 1991. No customer asked Steve Jobs for an iPod, music industry licensing agreements, and a supporting iTunes network. But none of these turned out to be bad ideas, and the eventual customers of these products seem quite happy with them. The point here is that sometimes customers may not know what would delight them, so narrowly assuming that all “change workshops must start with the customer” may not produce the best results for the organization, or for their customers. I’m particularly curious about you writing that an “unspoken assumption” of The Change Handbook is that in change efforts “‘Tops’ are using it on ‘Bottoms’ to “straighten them out.” That actual passage is from page 680 and appears in a chapter summary of one of the 61 methods. The statement appears in a bolded section title, in capital letters “WHEN NOT TO USE.” So we’re actually saying that if this is your assumption about change, you should NOT use this method. Taking this sound bite without providing its context could be quite misleading for a reader just happening upon your blog. I’ll apologize here for the long post, but a lot of research and hard work went in to writing The Change Handbook, and I’d like people to come away with an accurate perception about what the book is really about. The first noun in that section is “many change approaches” and our view is that they share the unspoken assumption. We are, perhaps obviously, taking the previously hyperlinked examples in the article as an indication of those many change approaches. Your book also calls out such approaches as mistaken, and we cite your book for that reason — and not because we think you somehow share the view you are criticising. Thanks for your reply! My misunderstanding. I’m glad to have found like minds who share this principle since, as you point out, far too many change efforts view change as a linear process where change is imposed from the top. IDC merger to follow Experton, Saugatuck & CXP?